Ammodramus caudacutus var. nelsoni Allen, 1875, Cook Co., Illinois. Three subspecies. 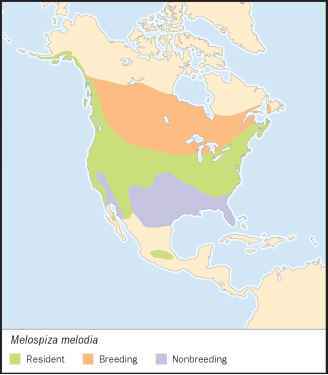 English: Nelson's sparrow, Acadian sparrow, sharp-tailed sparrow; French: Bruant des Nelson; German: Nelsonammer; Spanish: Gorrión Coliagudo. 4.5-5 in (11-13 cm); 0.14-0.74 oz (14-21 g). Small, sharp-tailed sparrows with broad median crown stripe outlined by brown lateral crown stripe, a yellow-ochre stripe above the eye, a brown stripe through the eye, and gray ear coverts and nape. The back is dark brown, usually with distinct grayish or white stripes. Underparts are pale yellow with faint brown streaks on side of throat and flanks. Birds breeding in the maritimes of Canada and coastal Maine are less brightly colored. Sexes are alike. Juveniles lack the grayish color. Scotia, and New Brunswick to central Maine and winters from coastal Massachusetts to northern Florida. In the prairies, breed in freshwater marshes where cordgrass and whitetop are common. Along the shores of James and Hudson Bays, they are found in dense sedge bogs, generally where there are a few dwarf birch trees. In the maritime provinces and Quebec they are found in rank, wet grassland and salt marshes. During migration, they may be found in wet fields and marshes, often in cattail. In winter they are found along the coast in freshwater and salt marsh habitats, but most commonly in brackish marshes. Males sing persistently during breeding season and commonly sing at night. They may sing from a bush, from the ground, or during an elaborate aerial display. On the ground, they commonly run. During breeding season they principally feed on insects and other arthropods but also on small mollusks. In fall and winter seeds become important. They feed while walking through dense grasses or while clambering in vegetation. Nonterritorial and promiscuous. Only the female provides parental care. The nest is usually a simple cup of coarse grass placed on the ground or just above water in marshes. Nesting takes place in June and July. Incubation of four to five eggs lasts about 12 days, and the young fledge after about 10 days. Not threatened, though marsh degradation and loss have caused serious problems in some populations. Fringilla melodia Wilson, 1810, Philadelphia, Pennsylvania. Thirty-eight subspecies. French: Bruant chanteur; German: Singammer; Spanish: Gorrión Cantor. 5-7 in (12-17 cm); 0.67-1.5 oz (19-42 g). Song sparrows are medium to large sized sparrows with a long, round tail. The head is brown to light rusty with paler median crown stripe, grayish stripe above the eye, conspicuous brown malar stripes, a brown mottled back, and heavily streaked breast with a dark central breast spot. Sexes are alike. Juveniles have brown crowns, are heavily streaked below, and are generally more buff in color than adults. This species is highly variable geographically. 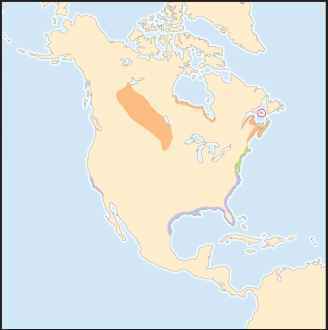 Breed from the Aleutian Islands, along the southern coast of Alaska, east across southern Nunavut, northern Ontario, and central Quebec to southwest Newfoundland, and south to Georgia, Missouri, Nebraska, New Mexico, Arizona, and California. Locally resident in Baja California and central Mexico. Resident in Alaska and along the Pacific coast, but most northern-breeding birds migrate in winter to southern Florida, the Gulf Coast, northern Mexico, and southern Baja California. Generally found in open brushy habitats, often near ponds, streams, or marshes. In winter, they are found in brush and woodland edge. Generally stay low in vegetation, but they often perch conspicuously in a tree, bush, or on top of a weed when singing. In flight they appear to pump the tail, and they hop or run on the ground. They defend territories with chases and fights. In winter, they can be found in loose flocks that often contain other species of sparrows. In summer, they eat primarily insects and other invertebrates, but in winter they eat mostly seeds. Song sparrows feed on the ground or by picking food from vegetation. Socially monogamous. 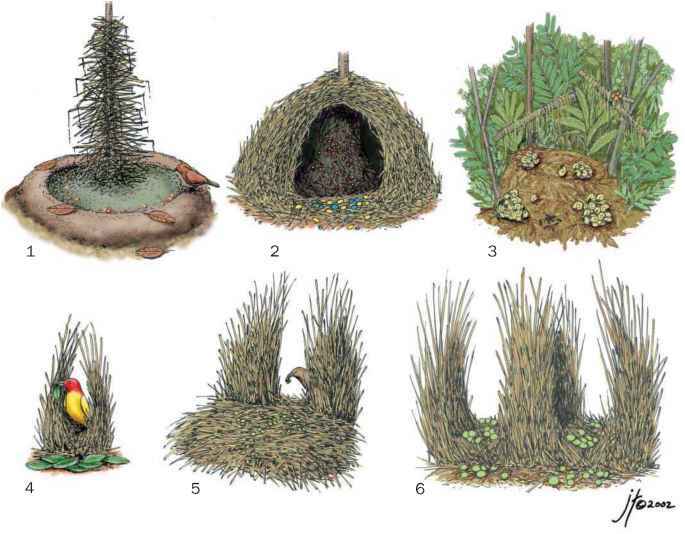 The nest is a bulky cup of leaves, strips of bark, grass, and other plants, commonly placed on the ground among grasses, low in a bush, or rarely in a cavity. They usually lay three to six eggs. Nesting takes place from late February (in the southern parts of their range) into August. Incubation takes 10-14 days, and young fledge in 7-14 days. Both parents feed the young.